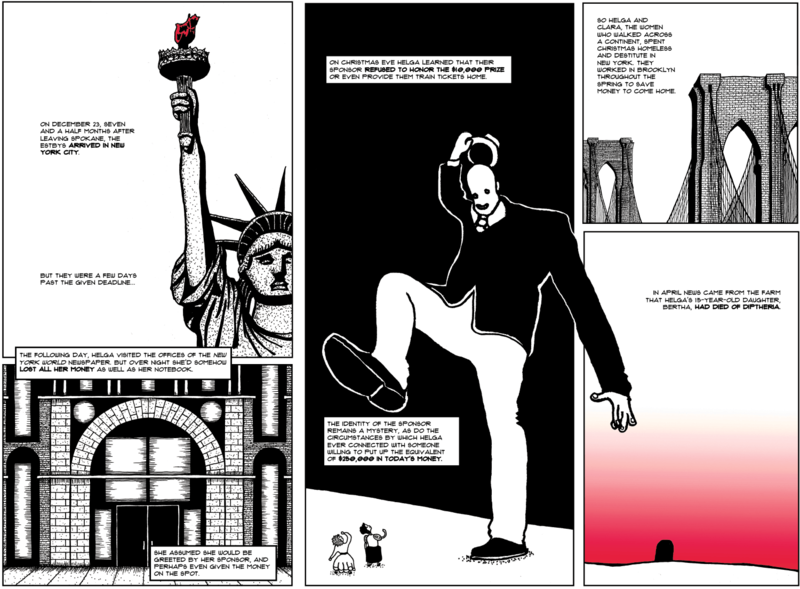 We've been looking to employ a graphic novel approach in the pages of the Inlander for some time now and when we came across the work of local writer and illustrator Simeon Mills, we figured we'd give it a go. 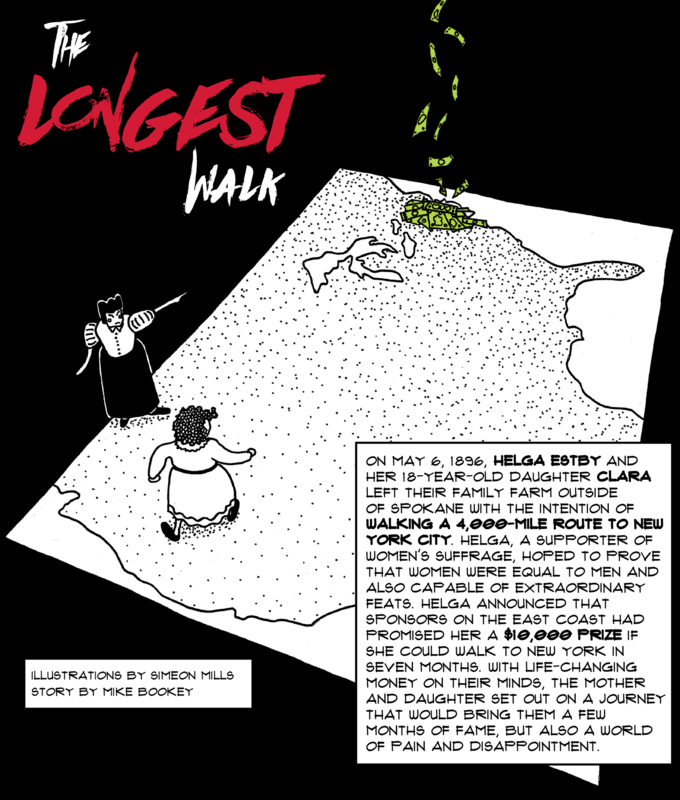 The story we chose to tell is an often-buried piece of Spokane history, but also one of our region's more remarkable stories — the tale of Helga and Clara Estby's walk from Spokane to New York City in 1896. 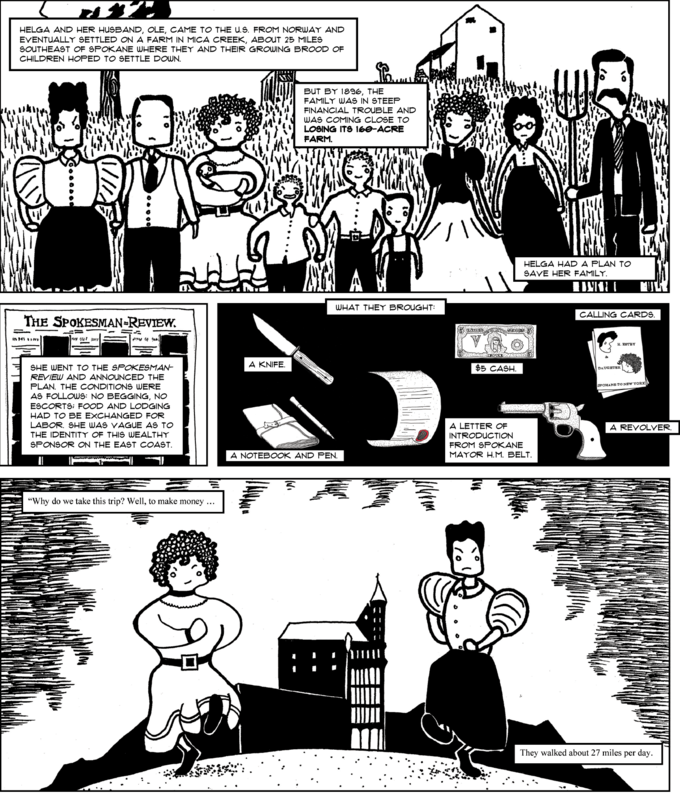 And here's an interview with Linda Lawrence Hunt, the author of Bold Spirit: Helga Estby's Forgotten Walk Across Victorian America, which was one of our sources for this project. 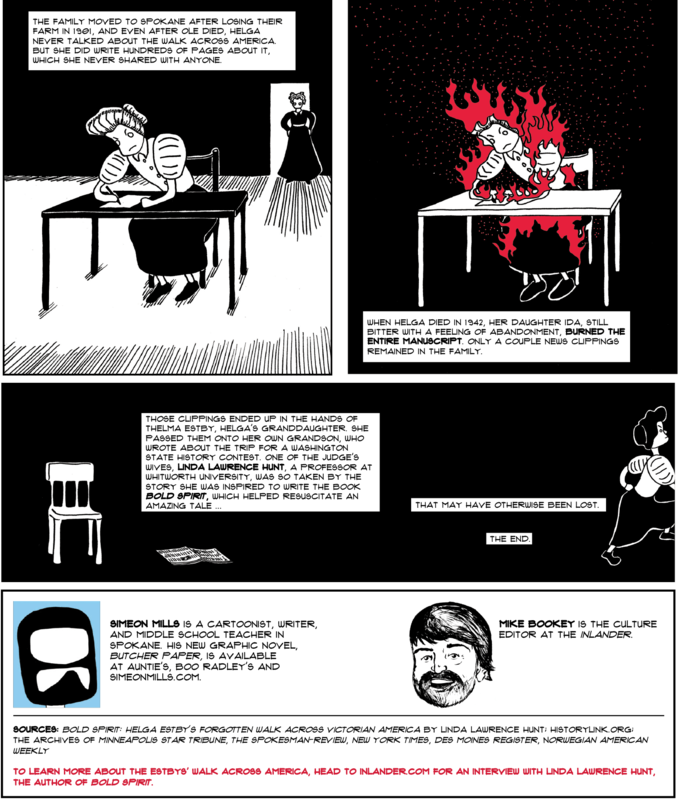 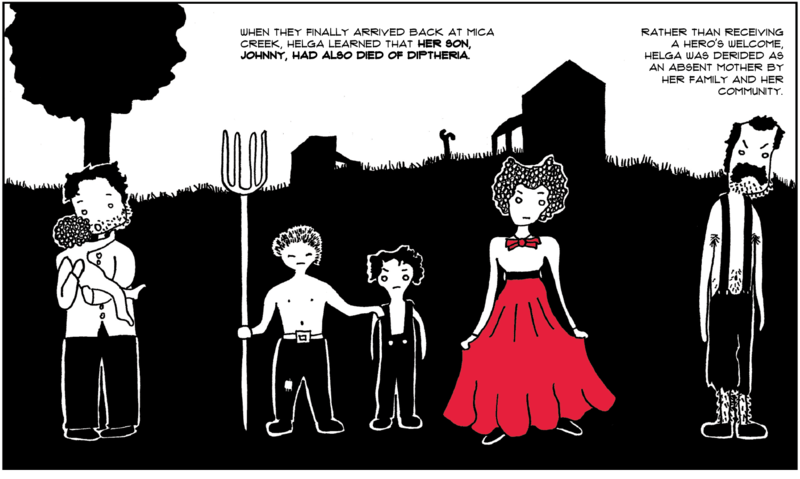 EDITOR'S NOTE: Click on each panel to enlarge for easy reading.